We have equipped the hotel specially for you to take care of your mechanical mounts. With a dedicated motorcycle garage and another dedicated to your bikes, we are ready to welcome you. Explore the "Pays de la Meije" on the mountain bike dedicaced trails & Enjoy fine, quality & family cooking. Enjoy, from your loggia, the sunset over the glaciers of the Meije. We propose to ride a half day or full day. 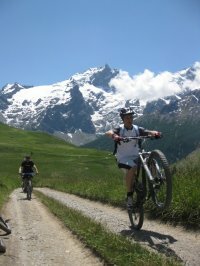 Bruno Florit, holder of State of cycling activities will fit your level and will propose the route that suits you to spend an unforgettable day in the Pays de La Meije. On the program: dinner, overnight stay, breakfast and rental of the brand new SCOTT E-Bike-Scale + 720. Powered by a 500 Wh Bosch Performance electrical assistance system, this semi-rigid mountain bike with a fiery temper will allow you to meet every challenges with a smile. Attack on the steepest slopes or lower the telescopic seatpost and have fun hurrying downhill at top speed. The organization of the MTB day. Supervision by a mountain bike instructor half a day. Half board accommodation at the hotel CASTILLAN and a picnic. Half-day rental SCOTT E-Bike-Scale + 720 mountain bike. 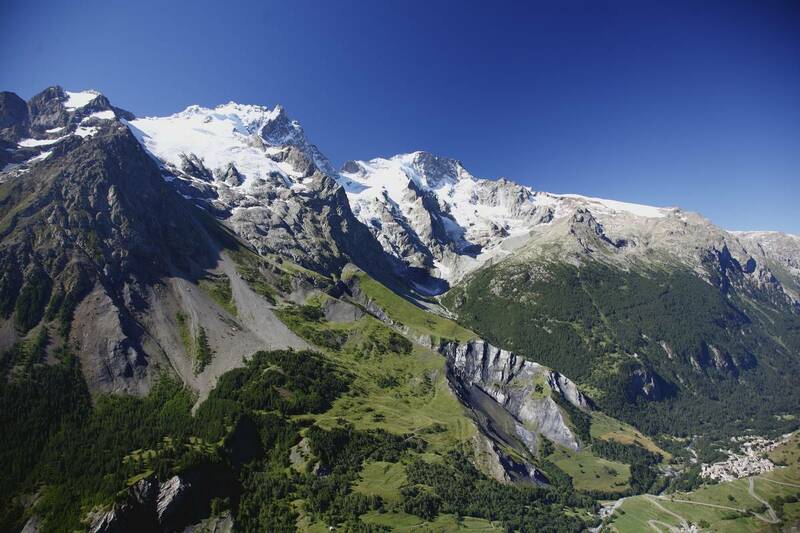 For any package reservation, a drink offered to taste on our panoramic terrace facing La Meije. We can offer personalized day trips.